2017: What a Year at Cornerstone! What a Year! 2017 was an amazing year at Cornerstone seeing God’s hand at work. The highlights are too numerous to list… here are a few. 1300 folks showed up for HopeFest where we distributed 500 pairs of shoes, 100 kids received hair cuts, 600 t-shirts were distributed, and more! Kingdom Sports had over 300 kids participate this year. Feed My Starving Children was a huge success with close to 500 volunteers, 116,856 meals packed, and enough food to feed 320 kids for an entire year. Darryl Strawberry shared his story of transformation in April at Cornerstone and to Portsmouth City Schools. Serve Day took place in May with teams of folks going out into the community to share Jesus love in a practical way. 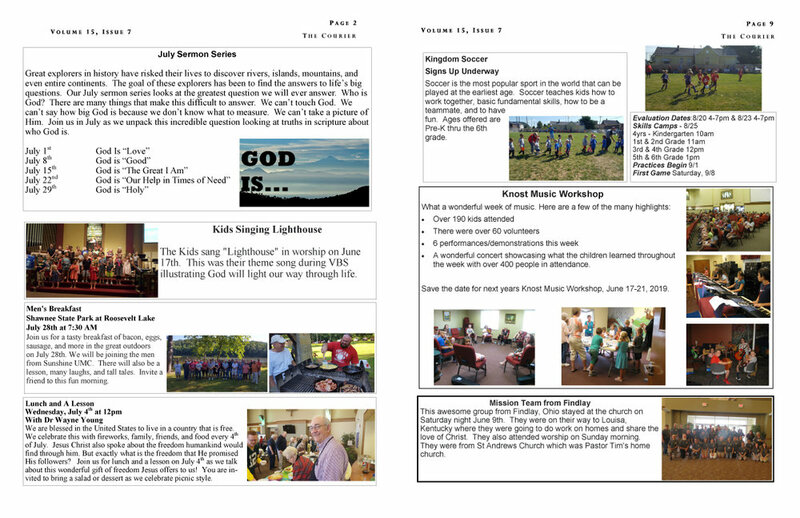 Vacation Bible School had over 125 kids participate this year. The Knost Music workshop had over 190 kids participate. We packed 250 flood buckets for hurricane relief. We held our first Jesus Prom for special needs folks. Weekly worship attendance continues to grow. Our children’s ministry continues to grow with over 65 kids per week. There were over 50 baptisms! Dr. Young led Lunch and a Lesson throughout the year with great participation. Michael Franzeese spoke to large crowds in October at Cornerstone and PHS..
We packed over 1000 boxes for Operation Christmas Child. The youth served the community through Hometown Humanity. We are helping over 160 families each month through the foodbank. Rejoicing in Recovery is reaching hundreds of people with the Good News of Jesus Christ. We had a positive year financially enabling us to be more missional than ever. The music ministry blessed us all throughout the year. The One Thing Initiative moved us beyond the church walls to serve the community and world. Over 18,000 children die from starvation every day. This is roughly the equivalent to the population of Portsmouth, Ohio. We can make a difference! In March we will be hosting a mobile packing event with the goal of packing 125,000 meals for starving children. We will need several hundred volunteers to hand-pack rice, soy, dried vegetables and a nutritionally complete blend of vitamins and minerals into bags which are then sealed, boxed, placed on pallets and shipped to the neediest children around the world. 1) Sponsor a child- For $1 per day you can feed a starving child. Would you consider feeding a child for half a year or even a year? 2) Sign up to help pack meals. Online registration will begin in late January. We will update the registration start times in Sunday services. We are blessed to have an incredible speaker at Cornerstone on October 22nd! Michael Franzese grew up as the son of the notorious Underboss of New York’s violent and feared Colombo crime family. At his most affluent, he generated an estimated $5 to $8 million per week from legal and illegal businesses. It was a life filled with power, luxury…and deadly violence. In 1986, mafia boss, Michael Franzese was named one of the biggest money earners the mob had seen since Al Capone, by Vanity Fair. At the age of 35, Fortune Magazine listed him as number 18 on its list of the “Fifty Most Wealthy and Powerful Mafia Bosses”, just 5 behind John Gotti. Avoiding traditional mob domains, Michael masterminded brilliant scams on the edge of the legitimate business world. From auto dealerships and union kickbacks, to financial services and the sports and entertainment industries, to a multi-billion dollar gasoline tax scheme, he earned millions in cash every week at his peak. While producing Knights of the City, a break dance movie filmed in Florida, Michael met a beautiful dancer from Anaheim, California, named Camille Garcia, whose innocent beauty and faith turned his world upside down. After falling in love and eventually marrying Cammy, Michael took the rap on racketeering charges. Michael pled guilty, accepted a 10 year prison sentence and vowed to do the unthinkable – walk away from the mob. Nobody of his rank had ever just walked away – and lived. Until now. Michael Franzese is the only high ranking official of a major crime family to ever walk away, without protective custodies, and survive. Michael's compelling story of fame, prestige, love and fear has been featured throughout the country on CNN, Fox News, 48 Hours, The Today Show, ABC Primetime, and NBC Nightly News. Michael is free on mission transforming lives. Join us on October 22nd to hear Michael’s captivating story of life in the Mob and how Jesus Christ has changed his life. We are once again excited to be preparing for our Operation Christmas Child Packing Party on November 5th. Each November thousands of churches prepare and collect shoe boxes filled with toys, school supplies, personal items, and other small gifts around the United States. There have been over 120 million boxes have been delivered through the years. We will be packing 1000 boxes again this year! Monetary donations to help cover the cost of shipping are always welcome. 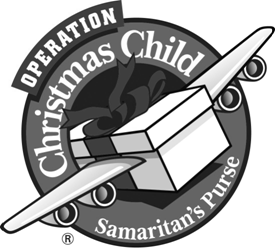 Simply make your check payable to Cornerstone UMC and write “Operation Christmas Child” on the memo line. Bring any of these items to the hallway by the church offices and look for the bin marked Operation Christmas Child.